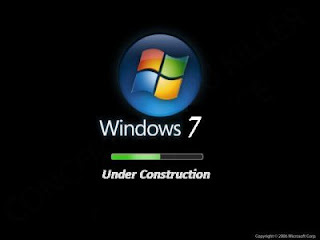 The Microsoft Windows 7 is set to launch on 22 October 2009 world wide.Those who want to set windows 7 on their machine, have to spend some money, while Anyone outside Europe buying a new PC between now and then - running Windows Vista Home Premium, Business or Ultimate - will get the chance to upgrade the operating system on it, at no cost, to Windows 7. While Microsoft will not charge for the upgrade, some PC makers may impose a fee to ship disks with Windows 7 on them to customers. In the UK the upgrade version of the Home Premium edition of Windows 7, available to those with an existing Windows license, will be £79.99. By contrast buying this in a shop, and which can be installed on more than one machine, will cost £149.99.